Posted May 14th, 2016 by Mike Boyes & filed under Consciousness, Motivation-Emotion, Stress: Coping Reducing. Description: If you are asked to how would you describe the range of human emotion? Essentially the question is asking about the map of human emotions. Well, if you need a map why not go to and atlas which is full of maps. The link below is to an article that describes a rather amazing piece of work undertaken by psychologist Paul Ekman at the request of none other than the Dali Lama. The Dali Lama often speaks about the importance of working to achieve inner peace and turning away from selfishness. He thought we might be more able to put his suggestions and practice if we are more clearly aware of the range of emotions that we are experiencing. Read through the article and then visit the emotions atlas website and see what you think. Source: Inner Peace? The Dalai Lama Made a Website for That. Kevin Randall, New York Times. To construct the atlas of emotions Paul Ackman consulted nearly 150 researchers working in around the concept of emotion. Based on the survey he reported observing a consensus that there were five broad categories of emotions including anger, fear, disgust, sadness and enjoyment and that each of these emotional continents or domains had a complex set of emotional states, triggers, actions and related moods. Working with the seasoned team of visualization experts the atlas of emotions is really quite fascinating to browse around and get lost in. I strongly recommend that you set aside some time and dive right in. I cannot at this point speak to whether or not the Dalai Lama would be happy with the results but either way it’s an interesting experience. Go have a look. 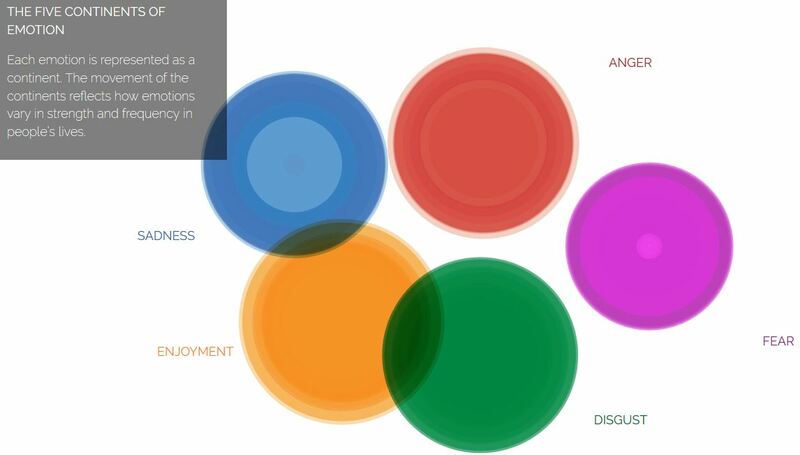 According to Paul Ekman’s atlas of emotions one of the five continents of human emotion? 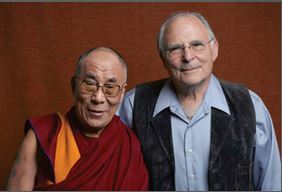 Why did the Dalai Lama ask Paul Ekman to build the atlas of emotions? In general, nonreligious terms, why might developing a better understanding of the nature and detail of human emotions help us?